A storm churning over the Bay Area brought off-and-on showers to San Diego for the first day of spring. The brunt of the storm will pummel the Northern California region while less powerful rain bands from the same system sweep through San Diego County starting Wednesday. 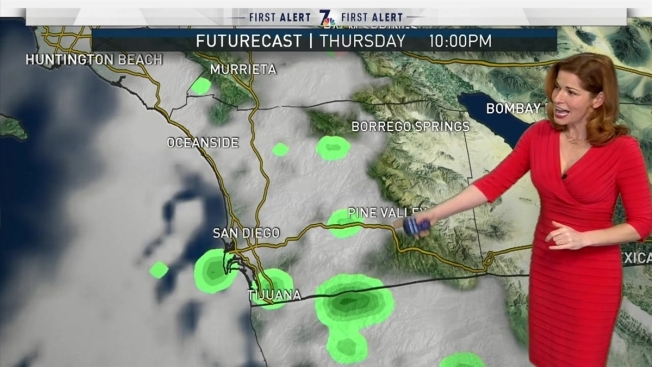 NBC 7's Doppler 7 Radar picked up storm cells off the coast of North County San Diego at about 5 a.m. Wednesday but rain was not expected to make land for several more hours. By about 7 a.m., light showers were wetting windshields and saturating the ground. Showers were expected to be light and spotty throughout the day. 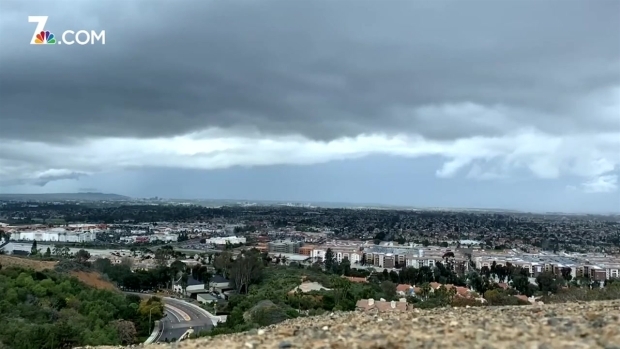 Not every area would experience rain but those that do can expect less than a quarter-inch of rain over the storm's two days over San Diego, NBC 7 Meteorologist Sheena Parveen said. The National Weather Service said thunderstorms over the county's coastal waters could have brought lightning strikes to San Diego's beaches from about 2 p.m. to 7 p.m. This caused a 40-minute airport weather warning, NWS said, from 2:40 p.m. to 3:20 p.m. as the storms were within a 5 mile radius of the San Diego International Airport. 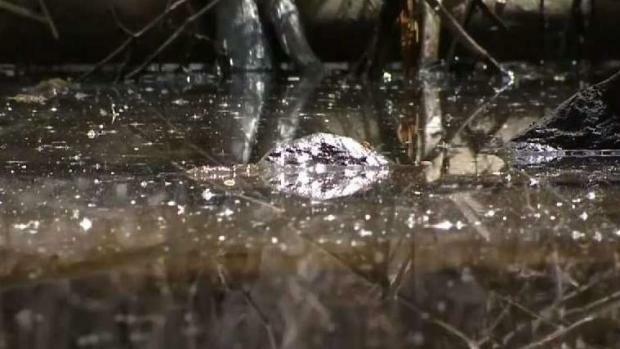 Thrasher Termite and Pest Control Senior Inspector Alex Jaimes said the consistent rain will lead to more mosquitos and bugs this spring. The county is urging people to report dead birds, green pools and mosquitos. Mosquitos carry viruses that spread through bites, so preventing mosquito breeding is important, Jaimes said. Make sure to dump standing water and use insect repellent to ensure the community’s safety. The new season kicked off with rain and even lightning and is expected to bring more bugs and insects. NBC 7's Llarisa Abreu has more. The storm was creating high surf at local beaches. NWS issued a high surf advisory from 1 p.m. Wednesday to 1 p.m. Friday. Waves may reach up to 5 to 8 feet tall, hitting its highest stride in Del Mar, NWS said. The high tides will peak Thursday, according to Parveen. Parveen said there will be strong rip currents during this time that present a higher risk of dangerous swimming conditions. A wind advisory is in effect until 11 a.m. Thursday, bringing a chance of westerly winds reaching up to 30 miles per hour and gusts of up to 50 miles per hour. The possibility of rainfall in San Diego increases Wednesday evening and scattered showers are expected to move inland Thursday, Parveen said. Mountains may see some light snowfall from this storm system but no more than an inch is expected at elevations above 5,500 feet. The best chance for snow is Wednesday night into Thursday. San Diego will be dry Friday once the storm clears out of the region, but there is a slim chance of rain on Saturday. Expect temperatures to be cool through the weekend.